So you want things to be different. You have had enough of the status quo. You look back and realise that you have been living the same year over and over again: nothing seems to ever really change and you feel frustrated and disillusioned. What if there were some key pieces of information that, once you have learned about yourself and put some focus into, would help you take steps in the direction your soul truly wants to go? 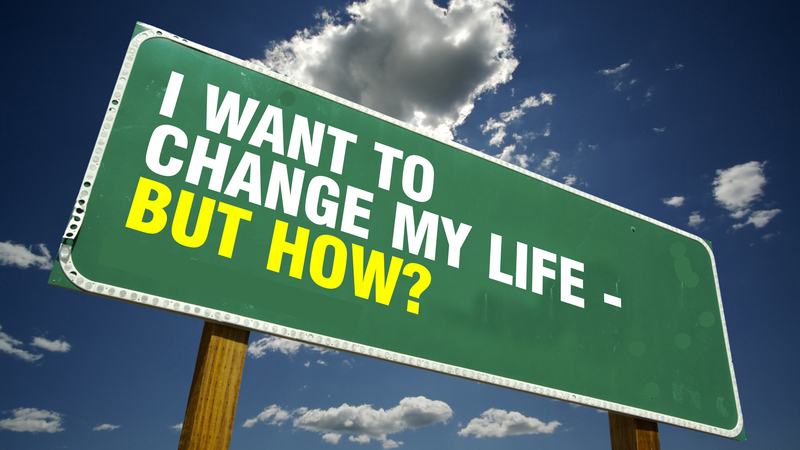 If you want to create massive change in your life, you have to know what that massive change is! What do you want? Get super clear on your outcome by creating a very clear picture of it in your mind. Visualise the details of it, add colours to it and make it bright in your mind’s eye. Alongside creating the clear picture, ask yourself what you would be hearing when you have achieved the outcome? What would you be saying to yourself? Lastly, feeling the feelings of what it would be like to have the outcome, turn those feelings up and connect with them. Is it feelings of joy? Peace? Success? Now capture that, write it down, draw it out and put language to it. So often, people don’t spend time getting the clarity on what they want. They get very clear on what they DON’T want (which serves a purpose to a point) but there needs to be a time when the focus shifts to what they DO want. As simple as it sounds this is a step that is so often overlooked. Have you ever had an experience where the thing you were doing just felt wrong? For example working in insurance and declining claims even if they were worthy of being approved? Or being around children and feeling super frustrated at the mess and chaos? More than likely you are experiencing a core values conflict. For someone who deeply values integrity or honesty, declining insurance claims for no reason would hurt as it would be so out of alignment with their value set. The person who values order and neatness is going to struggle working in a classroom with 25 five-year-olds who are energetic, messy and totally free spirited. Values are a part of us and they represent what we stand for. They represent our unique, individual essence and they are constantly operating whether we know it or not. They are how we measure the world and they provide us with a personal code of conduct which we measure ourselves and others by. When we honour our personal core values consistently, we experience fulfilment. When we do not, we feel incongruent and are more likely to escape into bad habits, regress into childish behaviour, or simply stop taking action around what we have committed to. When our core values are clear to us, we have a greater sense of self and how we operate in the world. We are able to create an action plan that utilises them to their fullest, propelling us forward towards our outcome while experiencing a sense of fulfilment. Every human being on the planet has a strategy for EVERYTHING they do. We just don’t realise it because we tend to operate unconsciously and it is not commonly discussed. Let me give you an example: I want you think about brushing your teeth. Close your eyes and mentally take yourself through that activity. Do you always hold the toothbrush in your left hand and put the toothpaste on with your right hand, or visa versa? Do you always wet the toothpaste before you put the brush in your mouth? Do you always start in the same spot in your mouth? When you pay attention to how you brush your teeth, you will notice that you have a specific strategy that you run over and over again. In fact, if you are “toothpaste wetter” and you didn’t wet the toothpaste for some reason, you would notice this. It would feel wrong to you because your strategy is being run out of its normal sequence. “Meta-programs are like software applications for the brain where one software program controls the execution of a number of other programs. The software runs in the background and directs your thoughts, beliefs, values, memories, and responses. Meta-programs are therefore mental programs that run our lives at an unconscious level of awareness. These mental programs determine how information is processed by deciding what to delete, distort, and/or generalise from your experience. How the brain processes information on a daily basis is based on the meta-programs that are currently running in the background. You use these meta-programs to sort and make sense of the world around you. Without them the world wouldn’t make much sense, however, with them you are able to form your own beliefs, opinions and perspectives about your world, your life, and your circumstances”. A significant meta-program is how we are motivated. Are you motivated internally or externally? Would you do more for others or more for yourself? I will give you an example: If you were intending to go running on the beach with your friend at 5.30am and you woke up to a cold and rainy morning, would you still go? Some people would go, even when they really didn’t want to, because they had committed to their friend. They wouldn’t want to let their friend down so they get up and get on with it. If their friend was not meeting them down there though, they could quite happily roll over and go back to sleep. This person is externally motivated. The force that moves them is outside of them. The internally motivated person relies solely on what is driving them on the inside. Friend or no friend, the decision to get out of bed and run is what they want. Utilising your motivation strategy is going to help you take more positive action and therefore help you achieve your outcome. If you are an externally motivated person, find people to commit to so that you are more propelled to take action. If you are an internally motivated person, identify with that and harness your own power. People will generally do more to avoid pain than get pleasure. That means, for example, if we link enough pain to not taking action in our life, we will take action. This is called leverage. It is simple, yet VERY effective! I remember a very good friend of mine deciding after numerous attempts to quit smoking that he absolutely had to do it and had to do it NOW. He had tried lots of different things: patches, hypnosis tapes and numerous other methods that were all ineffective for him. He could stick to it for a while but always slipped back into the habit when things got stressful. So what was the thing that got him over the line? The family was in the car driving home from Ikea when his two daughters told him honestly and openly about their fear of him dying a slow and painful death because of his smoking. His youngest daughter was crying and begging him to stop. She had recently done a school project on smoking and was consumed by fear that her dad would die. His wife, who had often asked him to quit, sat quietly giving her daughters the space to speak. My friend heard his children and in that moment made the decision that enough was enough. He now had leverage on himself. Being a father is his greatest joy and being a powerful role model is extremely important to him. The pain he experienced listening to his children share their fears (and knowing he had the ability to alleviate them) propelled him to take swift action around his smoking. He simply had to stop or he was not being the dad he wanted to be. What is it in your life that you want to be congruent with? What could you use as leverage to ensure that you take the necessary action on that thing? As a coach I am always encouraging my clients to step into fear. This means that if I personally feel fearful around something, I have to step up and face it. If I don’t then who the hell am I to be telling people that they must step up! My leverage is remaining congruent with my identity. I feel fraudulent if I shy away from fear and that feeling is worse than the fear itself. This, my friends, is leverage! Understanding, appreciating and applying these four pieces of knowledge about yourself is going to make a real difference in your ability to take action and get what you want. Take some time to explore yourself or find someone who can help you discover these things about yourself. The moment is NOW. Do it! Previous articleBreaking throughHave you checked your blindspots lately?